In 1789, the idea of a “President” as head of state was entirely new. There had never been one before anywhere in the world. To most people, President was only a word on paper — the Constitution to be exact. George Washington would provide the first model for the office, based in large part on his unambitious nature and personal integrity. 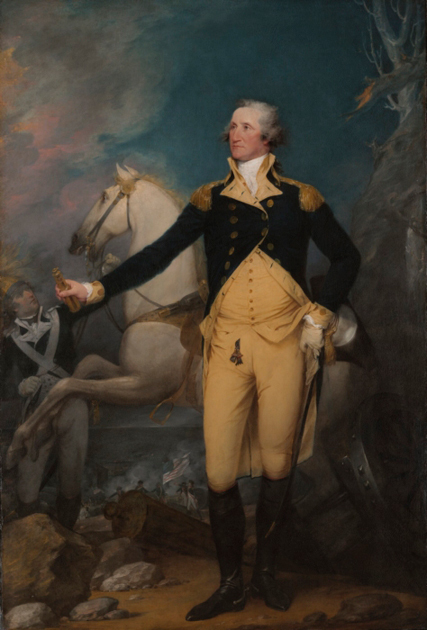 But even before he could be inaugurated at Federal Hall on April 30, battle lines were being drawn in Congress over whether the American President was to be more a king or a commoner. The question at issue was whether to give Washington a title more glamorous than the Constitution specified. Vice President John Adams and his allies in the Senate believed that unless the President had a “superior title” the country would be subject to “the Contempt, Scorn and Derision of Europe.” Meanwhile, Pennsylvania Senator William Maclay and others, considered it “degrading” to place the President on par with the maligned princes of Europe. In the three-week melee, titles such as His Highness and His Most Benign Highness were considered and discarded by the Senate. Finally, His Highness the President of the United States of America and Protector of the Rights of the Same was tacitly approved. To “preserve harmony” in the fledgling republic (and to attend to other more important business), Adams and his allies were forced to stand down. George Washington and each successive chief executive were henceforth known, simply, as President of the United States.